In the 3rd world a lot of families do not have electricity in their homes but they will have a mobile phone. To charge it they have to take them to specialist shops that are usually very busy and sometimes very far. 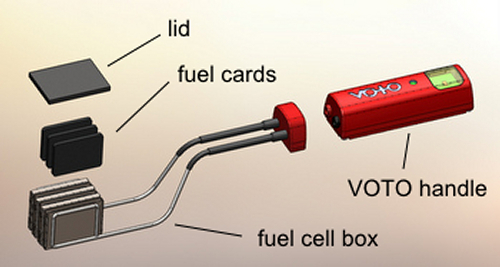 Voto is a fuel cell that uses the heat from the cooker to produce electricity (it is as simple as putting it into the fire). Innovative company Point Source Power and inventor Craig Jacobson. After the cooking is done wait for the coals to cool down and remove the Voto. Charging. 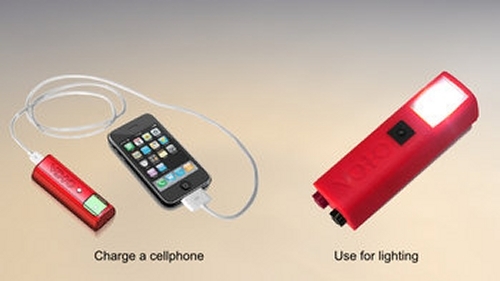 Charge the phone or use the torch for lighting. Video explanation. Enlarge player (full screen) to make clearer.